The American Civil Liberties Union is a nonprofit organization with affiliations in almost every state in the country. The primary goal of the organization being the protection of people's individual civil rights and civil liberties. The ACLU engages in lawsuits, advocacy and education on a widespread basis. Disclaimer: I do not Run the ACLu. I'm an intern. So What do I do? 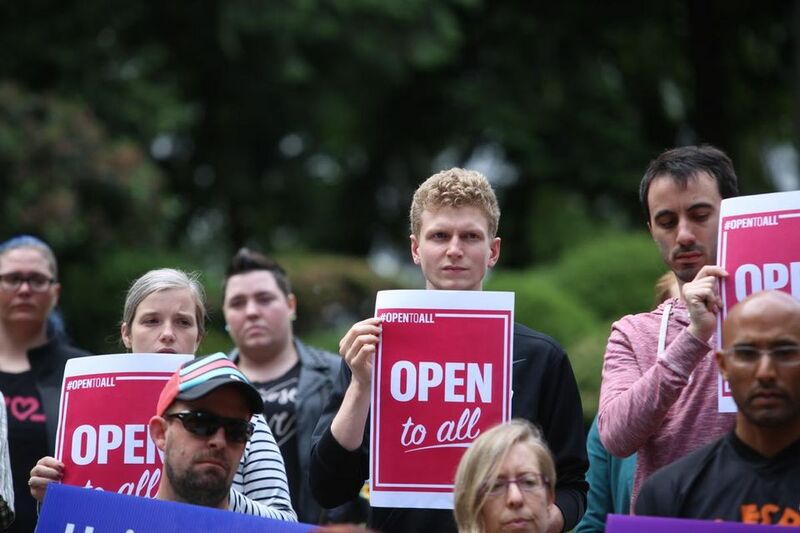 My name is Dillon and as of this posting, I'm an intern at the ACLU of Oregon. Over the last few months I've had the pleasure of working on the ACLU of Oregon's recently launched They Report to You campaign. The goal of the campaign is to spread awareness and inform Oregonians about the huge role County District Attorneys play in Oregon's criminal justice system. The fact that District Attorneys are elected officials gives voters a chance to play a role in reforming this system that affects so many. The main thing I do is work on budgets. We've hosted several county DA forums over the course of the term, though Washington County's was particularly interesting. A race for Washington County's the next District Attorney between Max Wall and Keven Barton was intense, with large donations flooding in from each side. 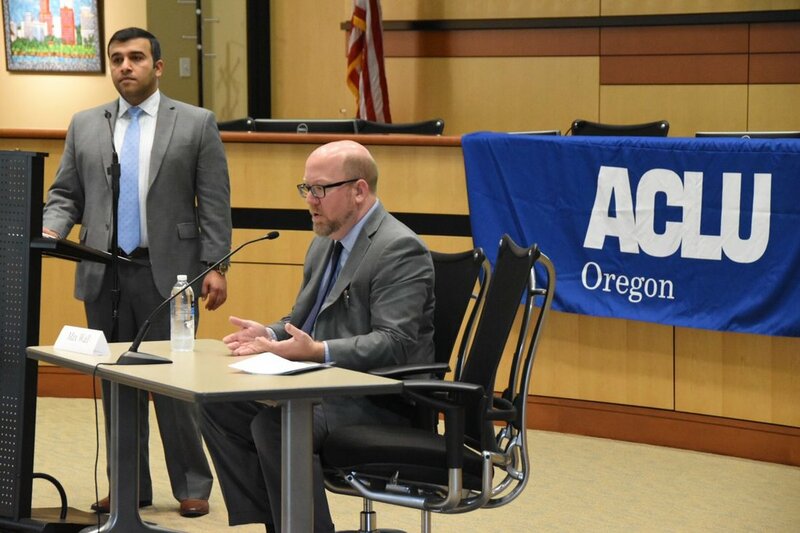 The ACLU of Oregon gave voters a chance to meet the candidates to make more informed decisions. Unfortunately, Kevin Barton was a no-show. In a reaction to the recent supreme court decision, letting a Colorado Baker off the hook for refusing to serve a gay couple. 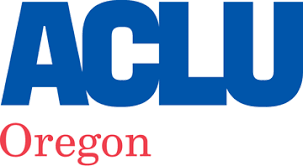 The ACLU of Oregon, in partnership with Basic Rights Oregon and the Mayor's office held a press conference in response. We made clear our support for the rights of LGBTQ state and nationwide. 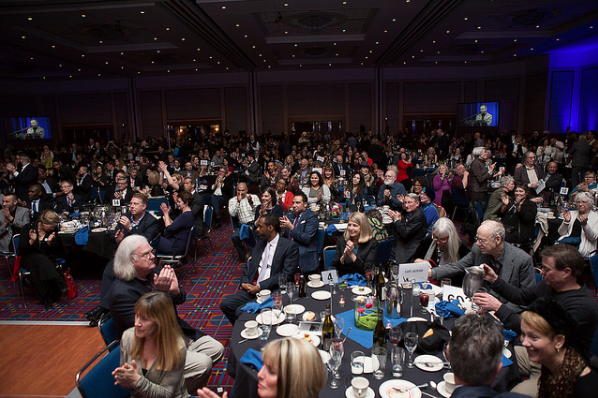 The 2018 Liberty Dinner, hosted by the ACLU of Oregon, "honors the leaders and activists among us who have played crucial roles in the ongoing fight for justice." An amazing experience to be a part of, especially with Angela Davis making an appearance alongside some fantastic food and interesting connections. What can I say about this experience other than it was great. This wasn't something I envisioned when I thought about my first experience in criminal justice reform. I figured I'd be doing ride-alongs with officers or learning brazilian jui jitsu and preparing for a showdown with my ultimate nemesis (I'm mostly kidding). Though instead I found myself sitting at a desk working with excel, looking over county budgets, and calling budget offices. This isn't heading towards the negative review of my experience that it sounds like. 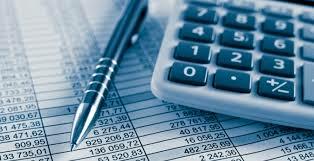 After all, it turns out there is a wealth of valuable information in budget sheets. What made my work meaningful was having a clear idea of how it contributed to the campaign, as well as being able to see how my work had an effect on the campaign almost immediately. What I've taken away most of all from working at the ACLU is that creating change needs to be taken one step at a time. Fretting over when things don't work will leave you stranded with little room to breath and ultimately kill motivation. Working on a campaign can sometimes feel like trying to bust through concrete using a butter knife, especially considering most of the work is trying to convince people to get involved who (generally) don't want to. More than anything I appreciate getting this experience now. If I continue on my current trajectory, I plan to have a career in this field and understanding where things can get difficult is extremely important. It makes the experience all the richer when things do work out. I plan to continue this experience through August after this class. That decision alone tells me there are aspects of this internship that are sticking and will stick for years to come.